IBM is making it easier for enterprises to move their cloud workloads across different OpenStack deployments, giving them greater flexibility in where they can run their applications. The company has launched IBM Cloud OpenStack Services, which allows customers to run OpenStack jobs both in-house and in the IBM SoftLayer cloud, with minimal headache moving applications back and forth. The new offering addresses the increased need among enterprises for cloud redundancy. Rather than using a single cloud provider, enterprises want to hedge their bets and spread workloads across multiple providers, or between a cloud provider and an in-house deployment. 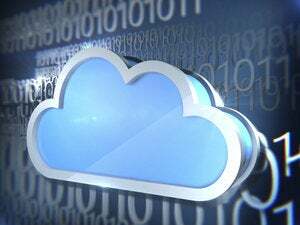 This year, 82 percent of organizations will adopt a multi-cloud strategy, up from 74 percent in 2014, according to a survey from cloud management services provider RightScale. OpenStack is an open source software platform for hosting cloud infrastructure services, both internally and in public clouds. It provides a standard base for running workloads across different data centers without modification. In addition to IBM, OpenStack has been embraced by Red Hat, Hewlett-Packard and Oracle. IBM has installed OpenStack on its SoftLayer cloud services, which the company purchased in 2013 for $2 billion. Users can move workloads between private clouds running IBM's OpenStack and the SoftLayer cloud, according to the company. For instance, a developer could build an application on SoftLayer and, once testing has been finished, move it in-house for deployment. Or an in-house application that outgrows its local infrastructure could be scaled onto IBM's SoftLayer servers. One IBM customer ready to take the plunge is IT infrastructure support firm United Business Group, which will use IBM's OpenStack to serve its own customer base. Other IT services companies using IBM-based OpenStack services include Virdata, Steel Orca, and Tieto Sweden AB. IBM is the most widely used provider of private cloud services, in which it allocates hardware in its data centers to run a dedicated cloud for a single customer, according to a survey by Forrester Research. The company has fared less well in public cloud services, in which multiple customers share the same pool of resources. In the most recent Gartner assessment of cloud providers, released Tuesday, IBM offers less of the features desired by mid-market and enterprise companies as rivals such as Microsoft and Amazon Web Services.